At Cleaners Uxbridge we are always thinking of new ways to make our services accessible to as wide a range of clients as possible. Because of this, on top of our very competitive prices, we offer exclusive deals and attractive discounts to both regular customers and newcomers. Mix and match two or more of our services and have more work done for less money. 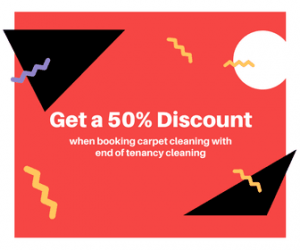 All end of tenancy cleaning offers for example come with a 50% discount off a potential carpet cleaning that you can book with the service. Check out the rest of our special, exclusive deals and do not miss your chance to make use of them.